Elijah (who appears a tad bit loco in the photo above) chose Mexico for the Geography Fair this year and Simon tagged along. 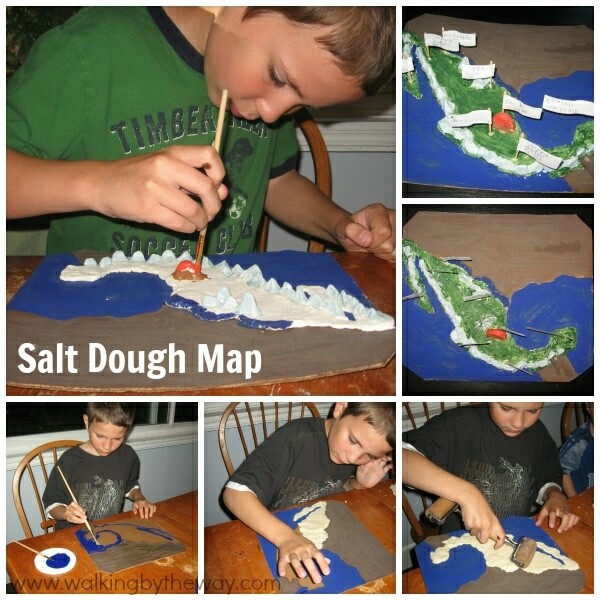 The very first project he completed was a salt dough map. Simon helped mix up the dough. I traced an outline of Mexico on to the cardboard. Elijah took over after that. 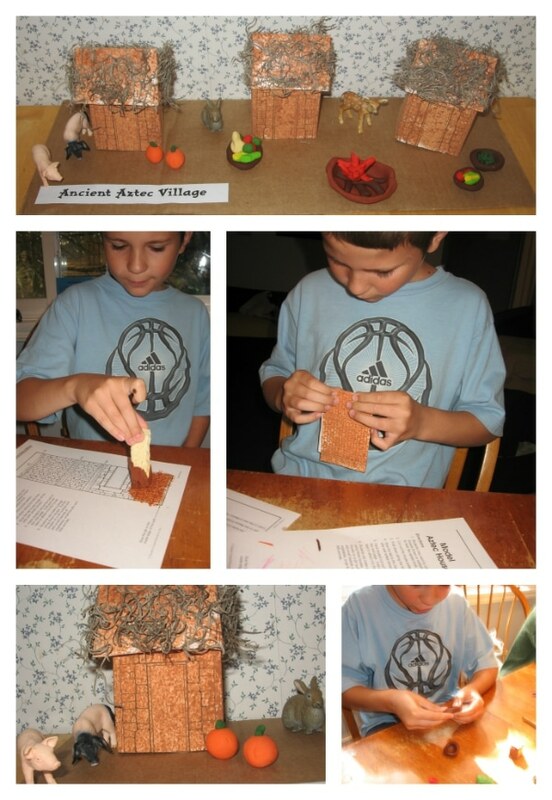 Elijah used the instructions in Mexico from Teacher Created Resources to build a model of an Ancient Aztec Village. He added details with some Sculpey Clay. 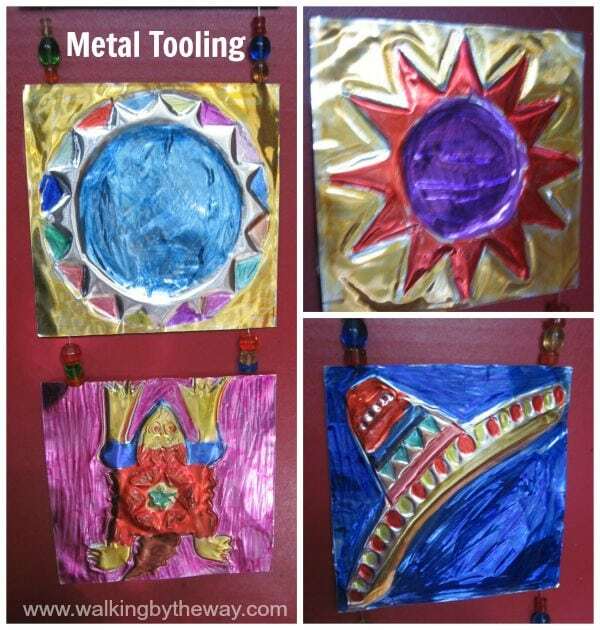 We learned about metal tooling in Mexico and created some art of our own. 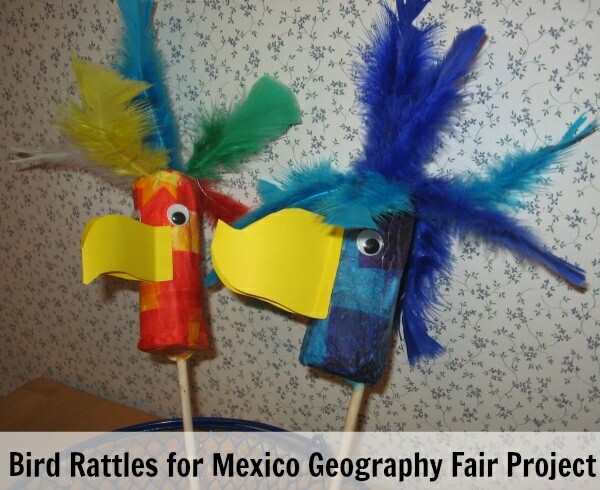 Both of the boys crafted Mexican Bird Rattles which is a New Year's tradition. 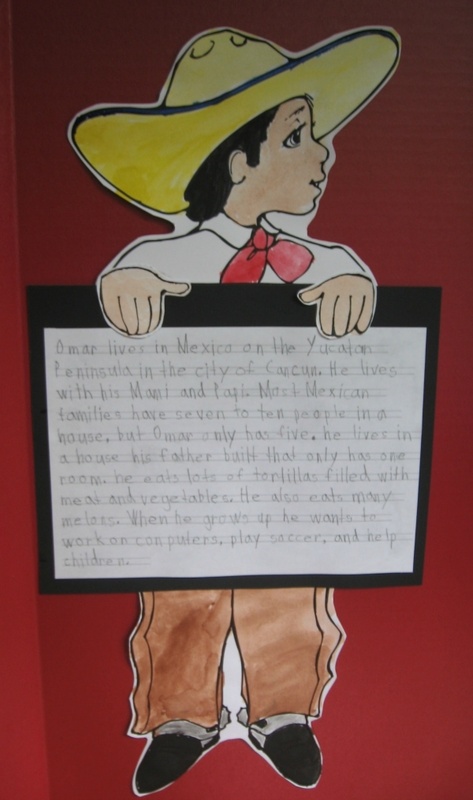 The instructions were in Mexico from Teacher Created Resources Elijah wrote a paragraph about the tradition. Unfortunately, I can't find pictures of the bird rattle making process. Just think about tissue paper, glue, paper mache', and feathers. All in a frenzy. You'll have a good idea of what it was like. 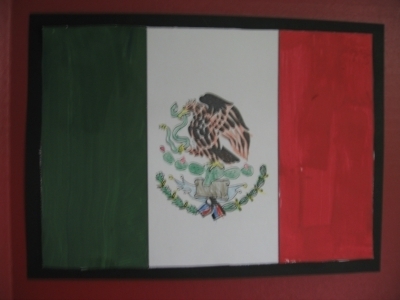 Elijah painted the flag of Mexico and wrote an explanation of the Aztec legend that accompanies the symbol on the flag. 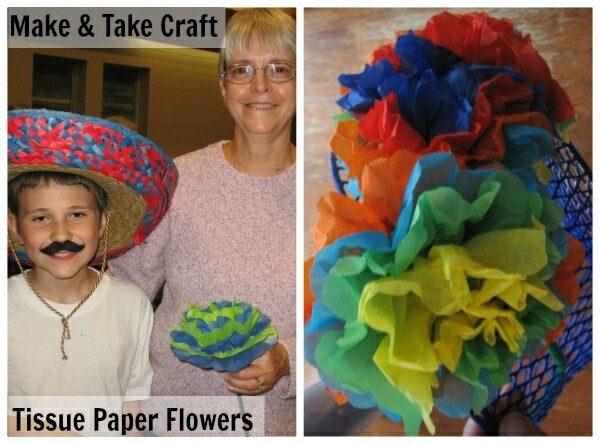 He found a Mexican Tissue Paper Flower craft in one of the books he read, and he made some of those. He asked if people could make them at his table at the geography fair. I made this part a reality for him. 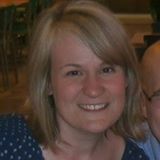 While he worked on Mexico each day, I cut tissue paper, folded tissue paper, and strung pipe cleaners around tissue paper. He helped people unfold the flowers at the fair. He watched a video about making Ojo de Dios and caught right on (I was left in the dust!). He made a ton of these. We put the best one on his display board. He also taught many children how to make these at the fair. 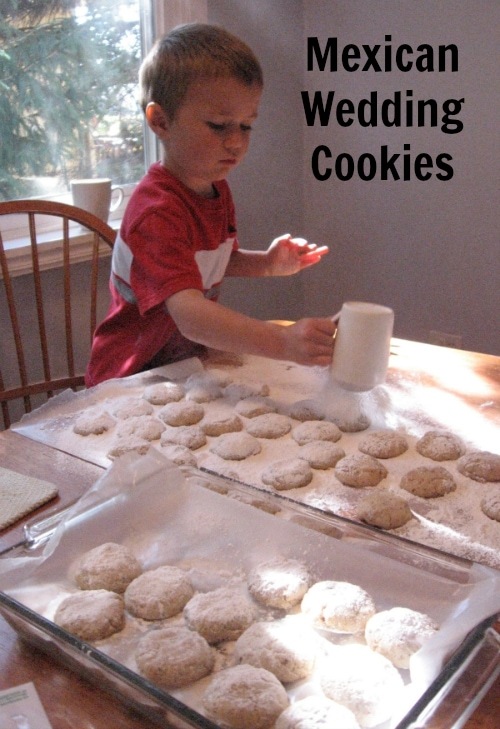 Simon made the Mexican Wedding Cookies. I think he needs more powdered sugar! 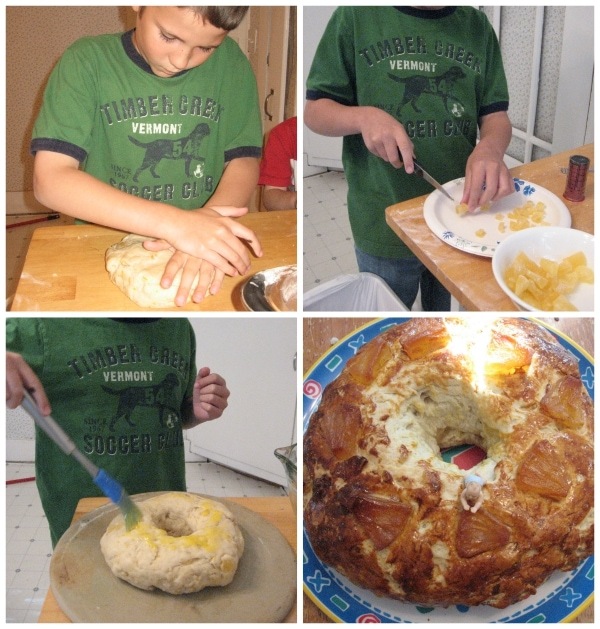 I helped Elijah bake a King's Cake, and he wrote a small paragraph about the holiday of Three King's Day and the tradition of the cake. Of course, no unit study around here would be complete without a lapbook. Here is a slideshow of Elijah's Mexico Notebook. 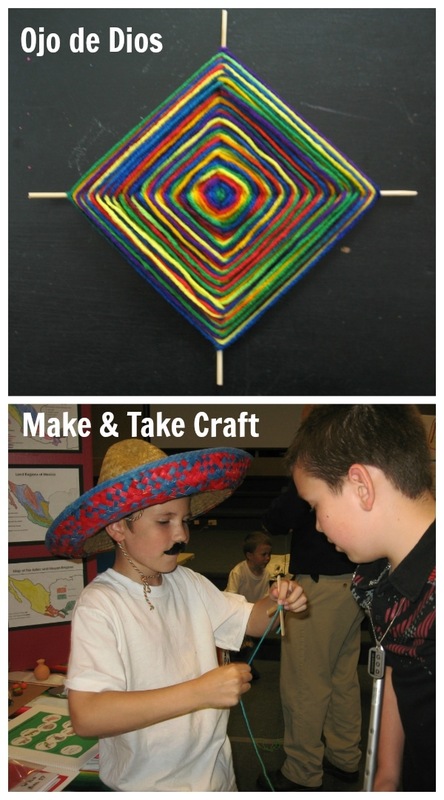 Mexico (Teacher Created Resources) *If you like hands-on projects, do not miss this book! I LOVE it! He did amazing on all his projects and what a variety of things to share! 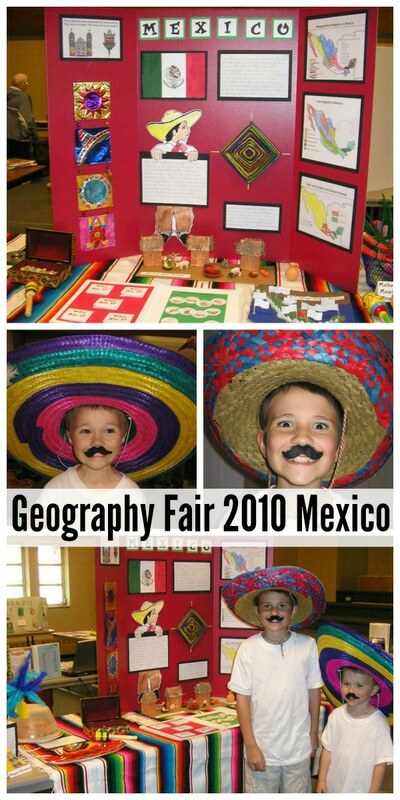 Our homeschool group had a geography class last year and they did a geography fair at the end of the semester. It was alot of fun! Love it! Parker is now itching to do a salt dough map. 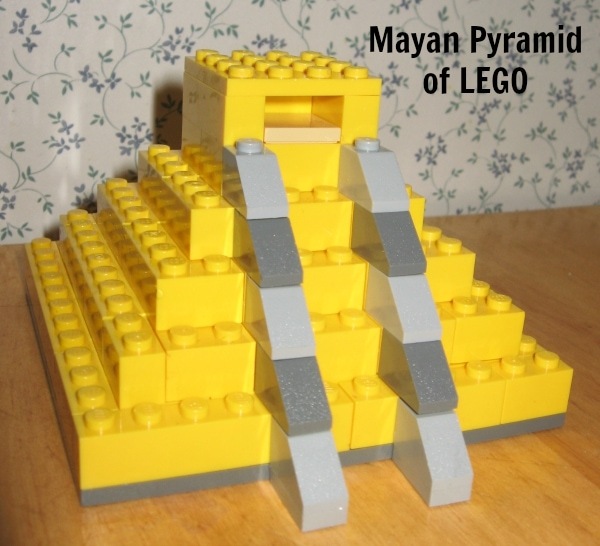 And he is very curious about the Aztec Village – was that something in one of your resources? Wow! Looks like you guys had a great time! I love the metal tooling! I’m in overload! 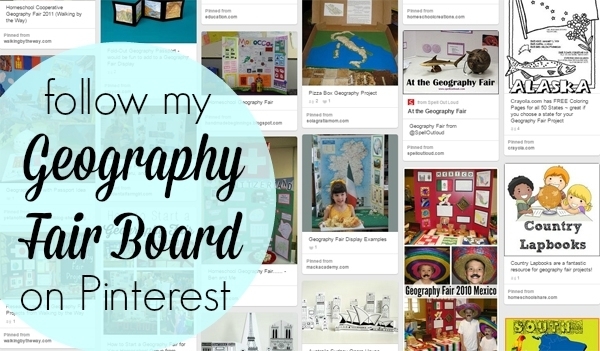 A fake mustache, food, diorama making, a salt dough map (thanks for the link), and a lapbook. There’s so much to love here. But I think that the LOCO mustache is my fave. What a huge amount of stuff you guys did! So awesome! How long did you work on this unit? This is a really really amazing unit!